our youngest students are getting in on the clay sculpting fun as well! 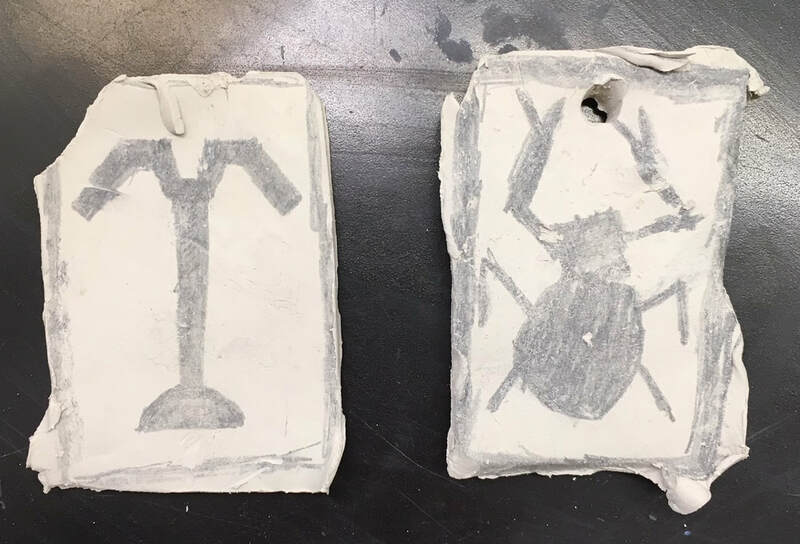 in this modified lesson, students make pressings of their drawings with wet clay and will next paint on the clay after it air dries. 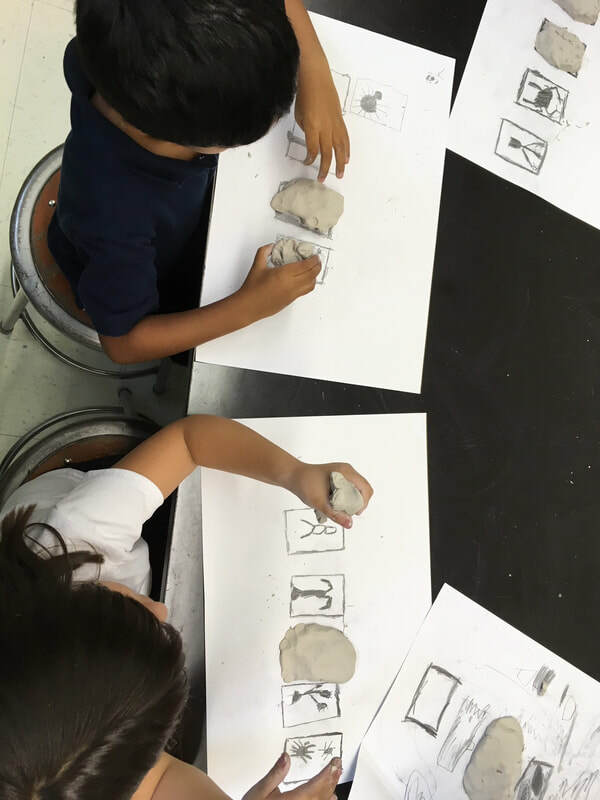 in keeping with the philosophy that our youngest students can artistically keep pace, our kindergarten and first graders will engage in most of the same lessons as OUR OLDEST STUDENTS. 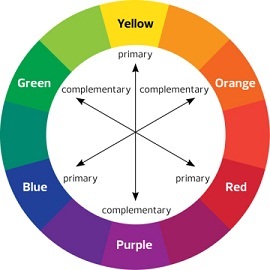 They will create washes, blend colors, and work off original sketches. with this initial practice round complete, we are off to a great start! our youngest students also had the opportunity to try their hand at portrait drawing. Here is an EXERCISE completed just before winter break. We've been drawing, cutting, gluing, and exploring all the basic shapes and tools. We could keep building and transforming these shapes (I see flowers in these!) but it's time to move on to more complex shapes. we are diving right in with scissors and glue to explore how shapes create positive and negative spaces. Students are identifying and creating basic shapes (triangles, squares, circles) and manipulating these positive spaces to make negative spaces. the added bonus is the tactile element which helps students intuitively understand negative space. this simple project taps into deeper concepts that will benefit students in the coming years. 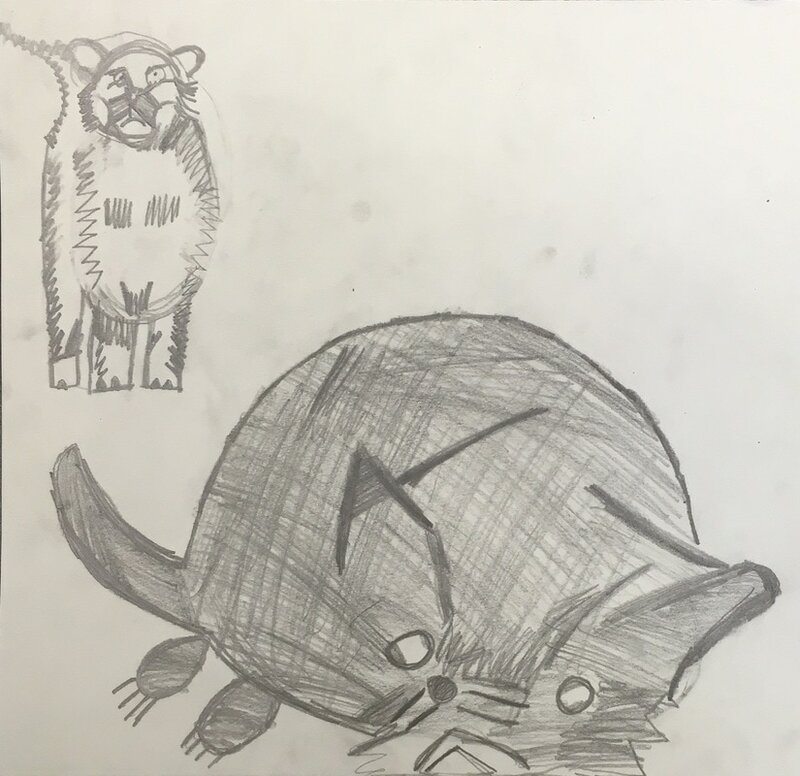 First graders working on their Scribble Cats. So many styles are emerging! 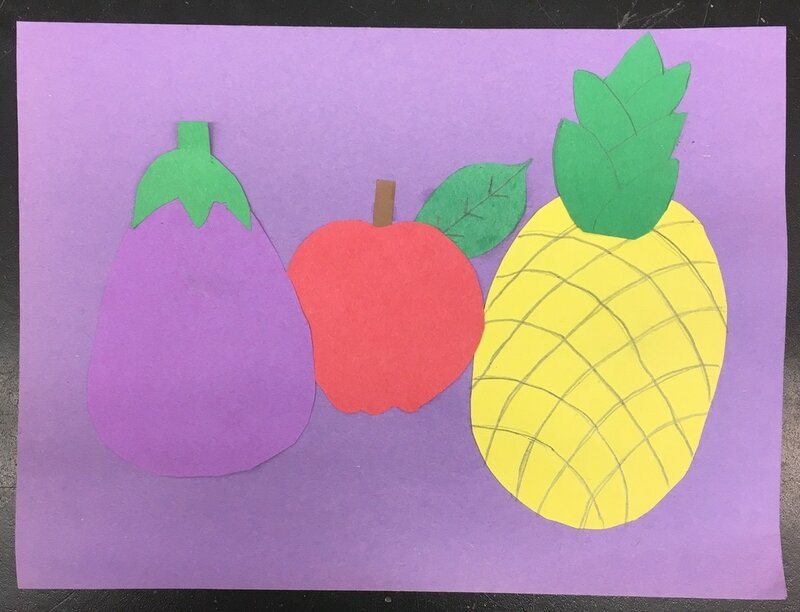 ​inspired by the book "fish eyes"by lois ehlert, students are learning about background/midground/foreground by creating these wonderful underwater collages. each element is hand drawn and pasted as students create depth and put a unique spin on their work. we're using scissors now - some students for the first time. these pieces look awesome! 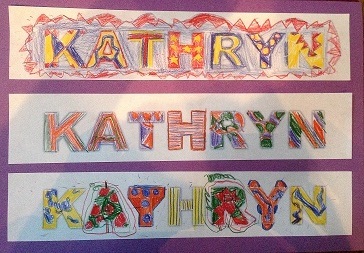 ​Innovation was the goal when our students read "Scraps" and created torn paper flower collages. As students observed and critiqued each other's pieces, some truly beautiful works of art were created. 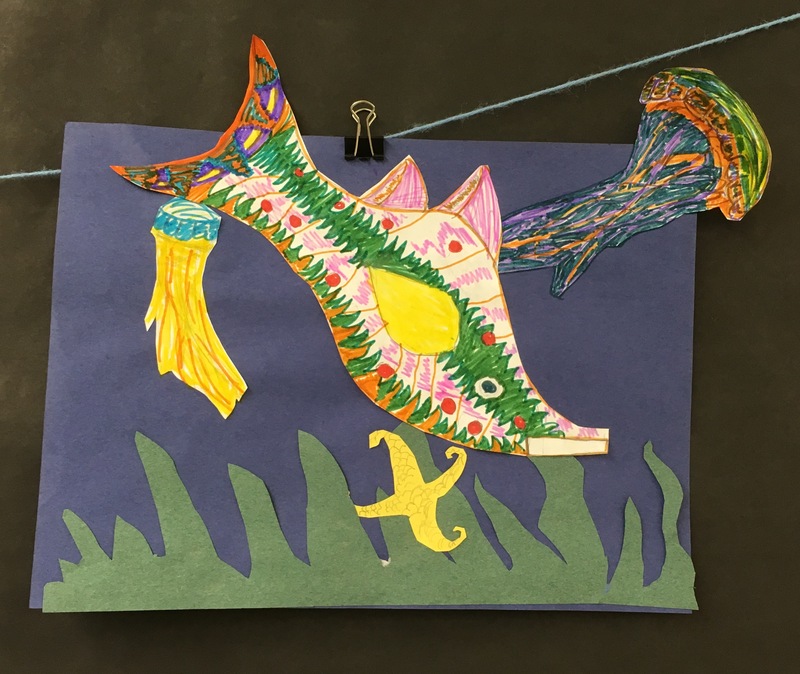 Currently, students read "fish eyes" and are assembling more complex collages using paper, scissors, and glue. they are exploring the concept of background/midground/foreground. the art is looking fantastic and will be completed by Thanksgiving!